Starting with a review process that allows us to understand your entire strategic purchasing process, we are able to uncover savings focused on product consolidation, vendor reduction, and a simplified, congruent ordering process. Get the products you need, when you need it, with AFFLINK. Hate when your packages arrive at their destination in less than perfect condition? So do we. Get quality packaging supplies that exceed even the toughest standards from the most trusted supply chain procurement network of suppliers and local distributors found anywhere in the nation. Facility maintenance can be a dirty job, but it doesn't have to be hard! Get your facility squeaky clean with the industry’s most comprehensive selection of commercial janitorial supplies. 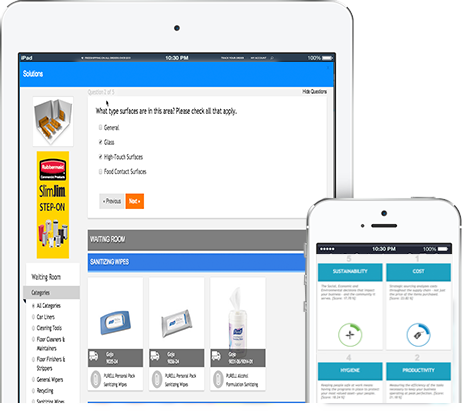 Even better than the selections though are the cost savings you will uncover working with AFFLINK. If safety is your primary goal, let AFFLINK get you there. With over 500 partner manufacturers and distributors on your team, our level of product quality and supply chain procurement expertise has quickly become an industry standard. Give your crew exactly what they deserve and get started with AFFLINK today. Whether you are running a restaurant or a hotel kitchen, the right food service supplies can take your food from just ‘alright’ to spectacular. More than quality supplies, AFFLINK delivers overall savings, optimization, and supply chain procurement efficiency. You can order office supplies from just about anywhere, but what if we promised that you could do it smarter? Teaming up with AFFLINK will not only ensure cost savings, but will improve strategic purchasing behaviors and streamline your supply chain. What are you waiting for? MRO procurement is complex, and with 1,000's of parts and pieces it can get expensive. Selecting a partner who understands the unique needs of your supply chain can do more than ensure savings. AFFLINK consistently delivers bottom-line results and efficiency you can trust.